A great day comes along every once in a while and the circumstances can vary from, say, having a baby to winning the lottery, or even having a day where nothing remarkable happens and all is calm which itself makes it a great day. Then there are days when a sock-it-to-me unexpected surprise surfs over your palate, and you’re kicked back by the explosion of sensational flavors wrapped in a mouthful of breathtaking hops and right out-of-the-keg freshness. THAT is a great day! 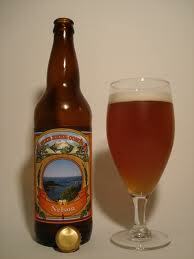 Such was the first mind-blowing taste of Nelson, the golden IPA from Alpine Beer Co. in Alpine, California. The flavors just kept marching on with each sip, satisfyingly delicious til the bottom of the glass. The distinctive flavor came from the Nelson Suavin hops which are from New Zealand. Now, not every brewer who uses these hops will automatically end up with a super delicious beer, but Alpine has the ‘touch’ and is making extraordinary beer in every category. Frankly, though, you wouldn’t know it by looking at their pedestrian labels, but because the beer is so audacious, it kind of lends the beer extra props for not caring what the label looks like. We were lucky enough to visit Alpine this past weekend, and if you didn’t know about it, you’d drive right on by. Alpine Beer Co. is in the town of Alpine just east of San Diego…a quintessential small town sporting a faux western theme where you wouldn’t be surprised to see (faux) tumbleweed roll down the middle of the street. 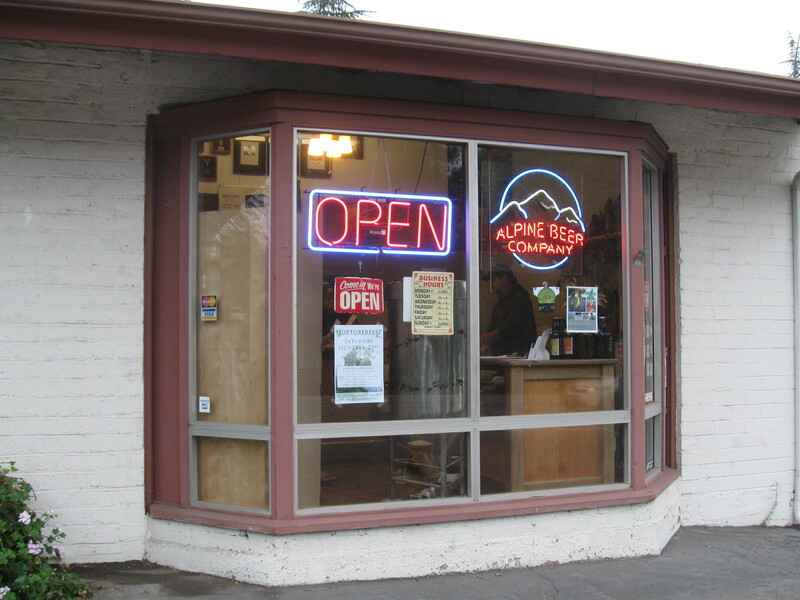 Alpine Beer Co. looks like a little store front, and people who have stopped by wonder what it is exactly? 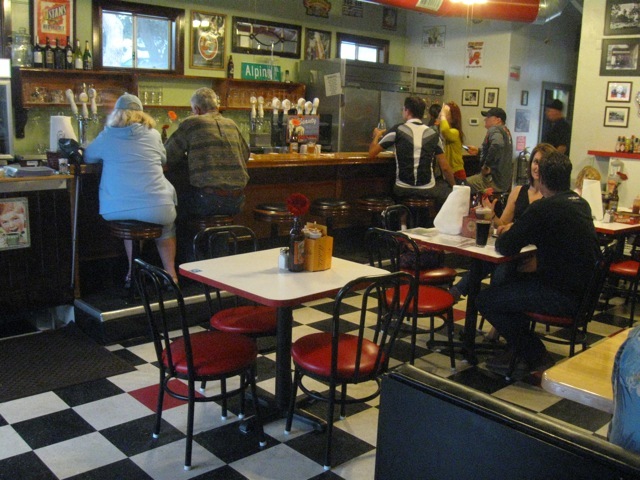 The guys running the shop are super friendly and kept filling a never-ending band of locals coming in to fill their growlers…often more than one, and I was pretty envious that they could just drop by for a refill. 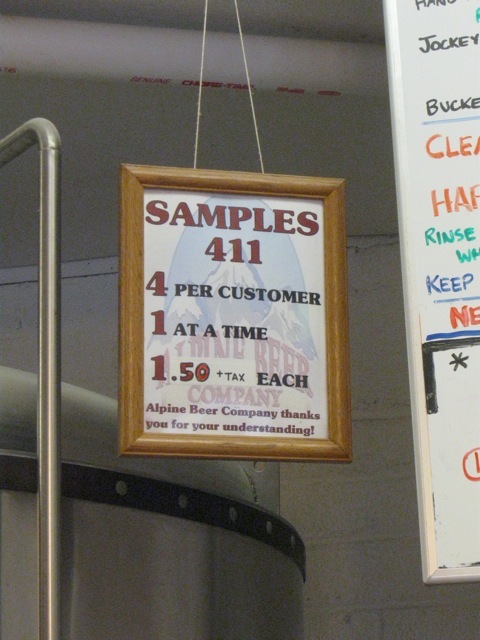 All of Alpine’s beer are highly regarded but I have to say, my heart belongs to Nelson. But here’s the kicker. 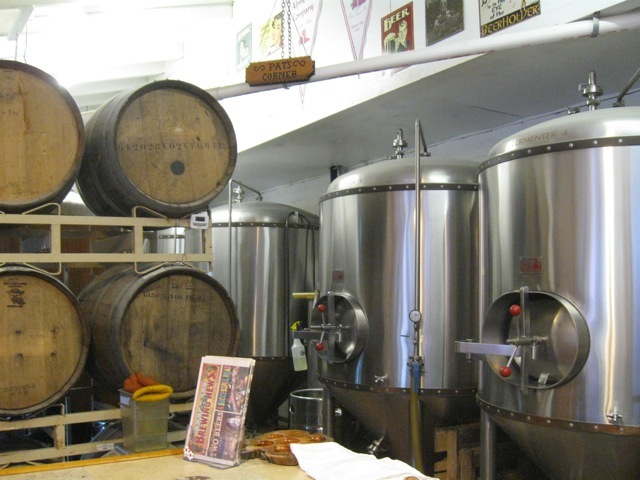 It’s not that you can’t buy beer in a store close to home, but what you can’t buy is FRESH BEER right out of the keg. Fresh beer and bottled beer are like two different products. There is no way to describe how the freshness affects flavor…it’s just one of those things that you know it when you taste it. It’s the difference between breathing air on Mount Everest and air behind an 18 wheeler. Ok, I exaggerate, but you know what I mean. Crazy good beer does that to you…makes you kick back, giddy with the knowledge that there is that much deliciousness in the world to taste. Thank you, Alpine. Onward!